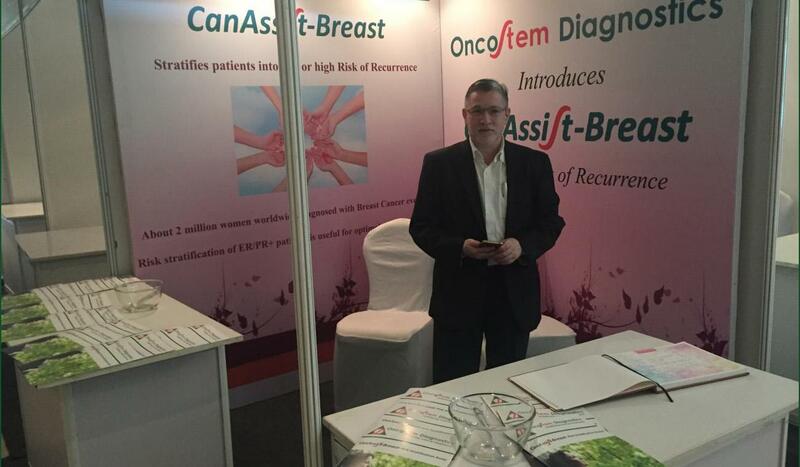 OncoStem Diagnostics participated in ABSICON 2016, a Breast Cancer focused surgical oncology meeting held from July 1st-3rd at Hotel ITC Gardenia, Bangalore. Dr. Manjiri Bakre gave an invited lecture on the development and validation of CanAssist-Breast and its utility in patients with Breast Cancer. OncoStem Diagnostics also had a booth at ABSICON 2016 showcasing CanAssist-Breast. ABSICON 2016 is the 5th Annual Conference of the Association of Breast Surgeons of India. Theme of the Conference was "Empowering Breast Surgeons...Impacting Lives Making ABSI Voice for Breast Surgery in India". 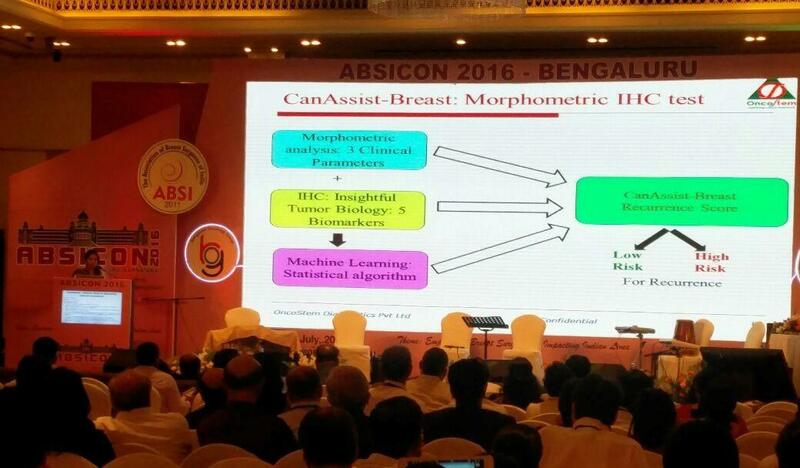 ABSICON 2016 was attended by over 500 Breast surgeons from all over India and abroad. Dr. Bakre’s talk was well received by faculty at the conference. A potential team in the field of Cancer Diagnostics. Team OncoStem updates the latest information about the OncoStem Diagnostics and its products in news room.Subscribe us to get latest updates. For more/detailed information please write to us on info@oncostemdiagnostics.com or call us on +91 96866 96505.